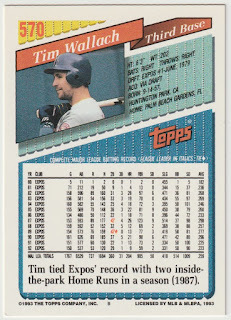 Card Review: 9.0 I like this 1993 Topps design. It just has that inherent "baseball card feel" to it. 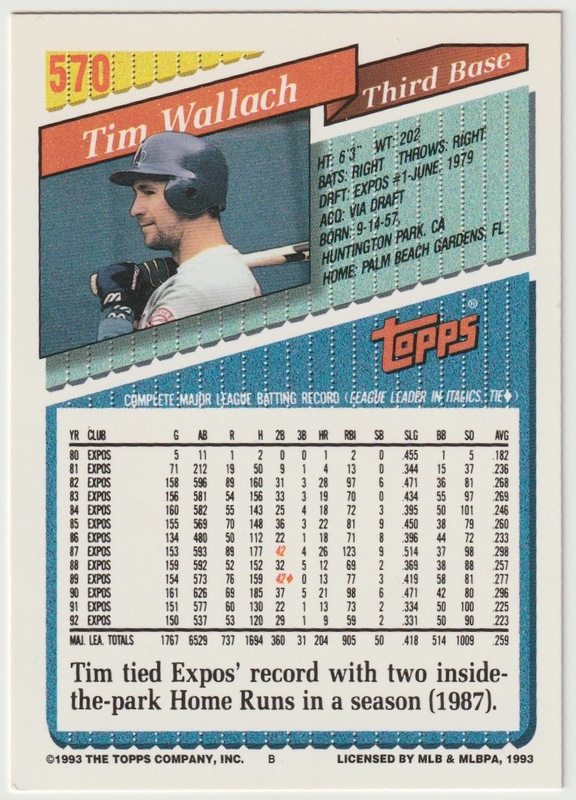 The superfluous blue "rediscover Topps" stamping along the side does nothing but slightly detract from the original, thankfully, it's somewhat difficult to see in blue foil. 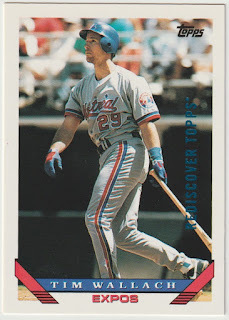 Hopefully any kid that may have pulled one of these and was seeing 1993 Topps for the first time, wouldn't get to bad of an impression.